• UPDATE! Bargain hunter: you were too slow and the Philips deal is now over, kaput, gone. 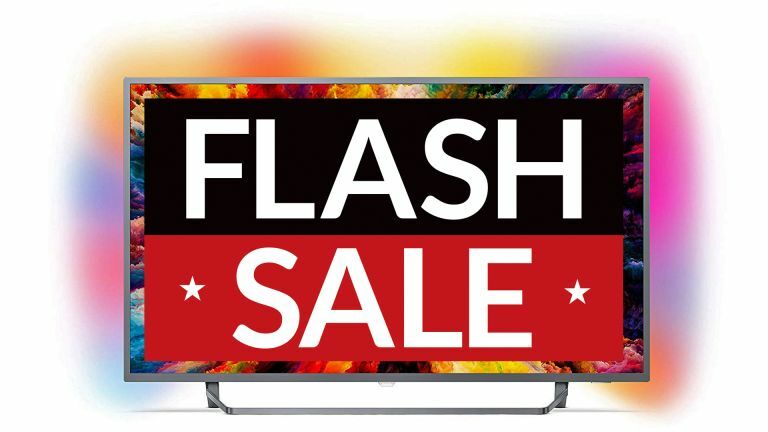 Here is today’s best Amazon Spring Sale TV deal. FOR future generations of archivists to enjoy, here’s yesterday’s news story. Woop woop! Here's one of the best deals of the Amazon Spring Sale so far. A 65-inch Philips 4K TV with HDR+ for better colour and contrast and the joy of Philips' unique Ambilight background light… thing. Amazon's Spring Sale is on until midnight on Monday 15 April. There are a few groovy TV deals in the sale, but this one is a cut above. Find out about the next Amazon Prime Day. Still want more? Go shop Spring Sale offers at Amazon now.